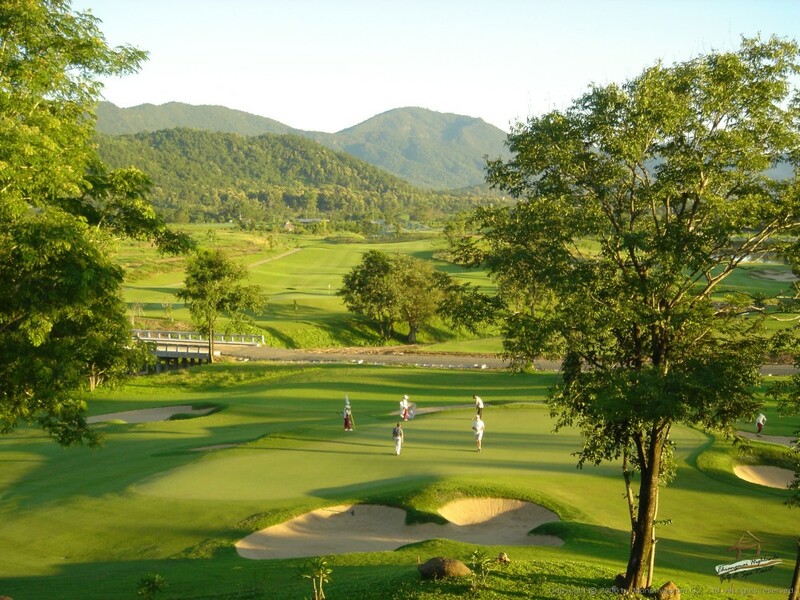 The Chiang Mai Highlands Golf Club opened in 2005 and significantly added to the quality of Chiang Mai golf courses. The drive to Highlands from Chiang Mai leads through the stunning landscape, in an eastern direction passing rice fields and plantations into the mountains. The Chiang Mai Highlands golf course is built on a &apos;power spot&apos; - the hermitage of Kuba Sivichai (the revered monk who founded the famous Doi Suthep temple). This site is breathtaking in every direction. Its tranquility, high elevation, cold climate, fresh air, pure water, and fertile soil, form the perfect place for the 27-hole layout. Lee Schmidt of Schmidt-Curley Design from the USA and the same designer as Mission Hills, Amata Spring, and Siam CC was the course&apos;s mastermind. After only two years of operation, Chiangmai Highlands catapulted onto the international golf scene as one of the best golf experiences in Asia. Since then Chiangmai Highlands has won many prestigious awards. 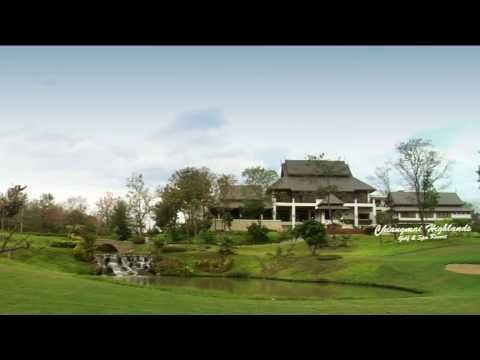 In 2007, Chiang Mai Highlands Golf & Spa Resort was voted #3 for &apos;Best New Golf Course in Asia&apos; by Asian Golf Monthly. In 2013, the same publication awarded Chiang Mai Highlands as the &apos;Best Value for Money Golf Course in Asia” and the “Best Golf Resort in Asia” followed in 2015. The Highlands course itself is exciting and challenging for a player of any level and offers the choice of 5 different tee boxes. Featuring Paspalum grassed fairways and Tiff-eagle grass greens ensure excellent hitting surfaces and faster more consistent greens year round. The bunker complexes are deep and punishing, but lend a nice contrast to frame each hole. In fact, the course features are over 130 fairway and greenside bunkers, most all with high front edges. 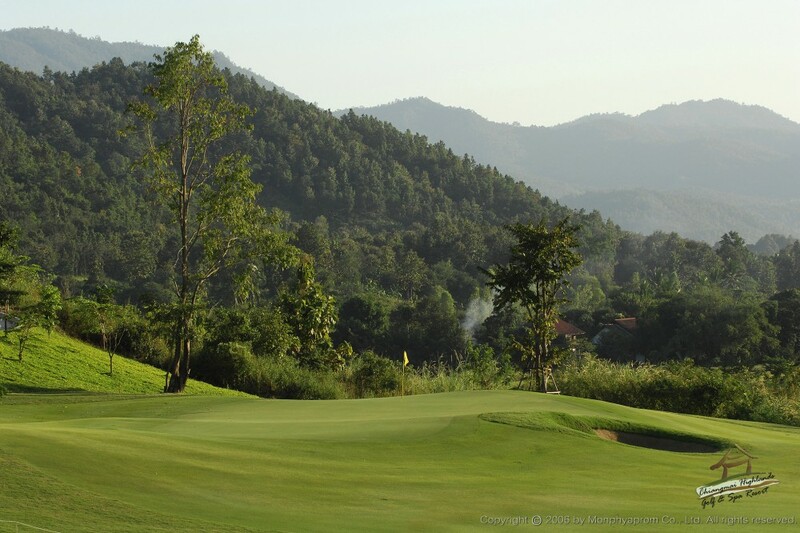 The greens at Chiangmai Highlands are undulated and typically run around ten on the Stimp-meter. The greens are firm yet receptive and hold well-struck iron shots. Many greens slope front to back which pressurizes golfers to pay more attention to strategy and utilize local caddie knowledge to putt in regulation. The approach areas around green complexes often feature strictly mown catchment areas giving the golfer many options of playing either a chip-and-run, pitch shot or even putting the ball up onto the green surface. Imagination is a terrific asset when trying to get up and down at Chiangmai Highlands. The golfing experience starts with the downhill hole #1. Magnificent views of the entire course and the mountain skyline are evident in the background. After the &apos;inviting&apos; 1st hole, the golf course effortlessly flows along, gaining strength, beauty, and character with each passing hole. Another standout is the thrilling and unforgettable 18th. The short downhill par-5 can be reached in 2 by long hitters, although most golfers prefer a lay-up in front of the broad river that crosses the fairway before playing an uphill chip for an easy par. The 4C hole is by as good as they come. A long par-4 with a sharp dogleg right, the tee shot requires careful placement left of the fairway bunkers. Then, the long iron or hybrid approach left navigates away from the bunkers and water right of the green. A well-struck shot is an excellent birdie opportunity. A Thai-styled clubhouse with a pleasant atmosphere and all facilities provide relaxation before or after the golf round. Locker rooms are basic but are adequate nevertheless. Chiang Mai Highlands has a superbly maintained practice facility including several practice greens, a short game area and a 300-yard driving range with grass tees. There is a small on-site Thai resort with private cottages for those wanting to stay in the countryside and play multiple rounds at Chiang Mai Highlands. Overall Chiang Mai Highlands is one of the best golf experiences in Thailand and a “must-play” as part of any Chiang Mai golf holiday. You can also combine this golf course with other courses for your next golf holiday. Have you played golf at the Chiang Mai Highlands Golf and Spa Resort and took some nice photos that you would like to share with other golfers? Send them to us and we may upload them here. Thank you in advance! from being picked up at the international airport in chaing mai, to the short 30 min drive to the resort, to the amazing smiles and hospitality shown to me on my arrival, was nothing more than spectacular. I found most people spoke English, or made sure I was understood, the room was above 1st class, the spa was exquisite, relaxing, peaceful with plenty to choose from, I had the thai massage,was sooooo good, next time want to try the milk bath!! !and the beautiful infinity salt water outdoor pool are a must, but truly the golf courses (3 nine hole courses mountain, valley, highlands) were legendary. manicured to perfection and friendly for all levels of golfers and the caddies were so helpful, I was there on a stay and play package! so I used both of the restaurants, wow i was shocked to find some amazing thai dishes and an amazing mexican menu form a classic trained Mexican chef, wow what a pleasant surprize and so tasty. I could go on for ever, if you are traveling north to the chiang mai area and you don't go you truly are missing an opportunity to visit a wonder of the world. ps. if you fall in love with it as I have you might want to take a tour of the condos for sale, or a beautiful house all so reasonable, great for a vacation rental and includes a 10yr golf membership, just saying !! This was the best course we played in Chiang Mai. I like Chiang Mai because it is cooler than Bangkok and Phuket. Wow, what can I say! Chiang Mai Highlands provides a breathtaking view of the surrounding mountains. The greens are very long and well maintained. I come back here over and over again. Third time already! Please contact us at webinquiry(at)golfasian.com if you prefer to send us an email or are having trouble with the form. -- Select your title --Mr.Mrs.MsDr.Prof.